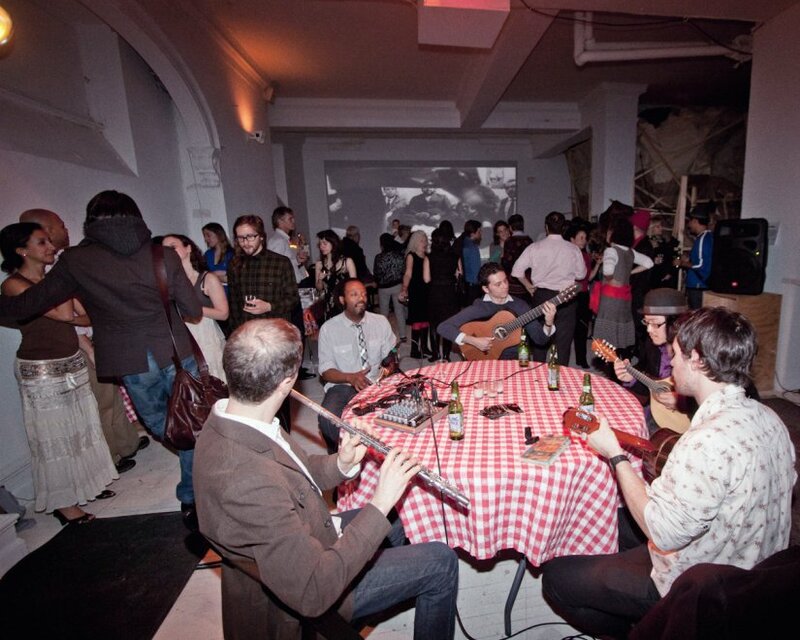 Samba na Casa do Gato, curated by Alanna Heiss and Natalia Mount and hosted by journalist/organizer Thiago Carrapatoso, was recorded during Clocktower Gallery's Brazilian Valentine love feast on Feb. 14, 2012. Visitors were treated to a DJ set of great Brazilian tunes by producer Béco Dranoff, food from Williamsburg's botequim style Miss Favela restaurant, and live music from Regional de NY playing in the traditional chorinho style. This show features their set. Regional de NY specializes in choro and samba music and consists of musicians Rodrigo Ursaia (flute), Justin Douglas (mandolin), Cesar Garabini (7-string guitar), Kahil Nayton(cavaquinho), and Ranjan Ramchandan (percussion).